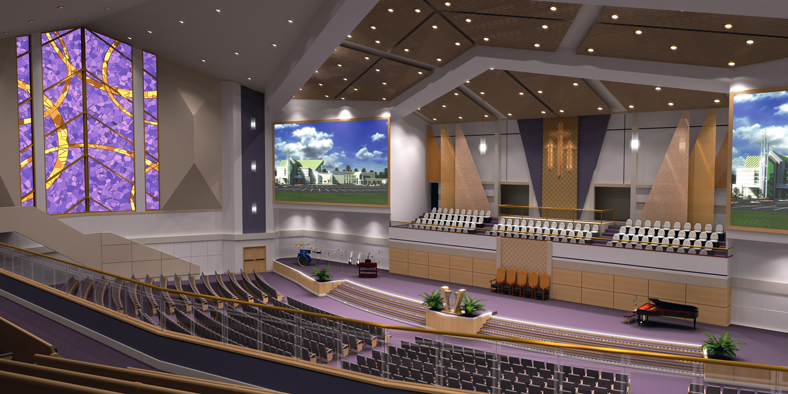 Providence Baptist Church is blessed to be the steward of 68 acres of pristine, undeveloped land in the city of Euclid, Ohio. Providence is committed to the Mt. Pleasant neighborhood of the City of Cleveland and the City of Euclid. Currently worship services are held at our Kinsman Campus as well as The Manor Centre in Euclid. We look forward to the day when we will break ground on our new facility. 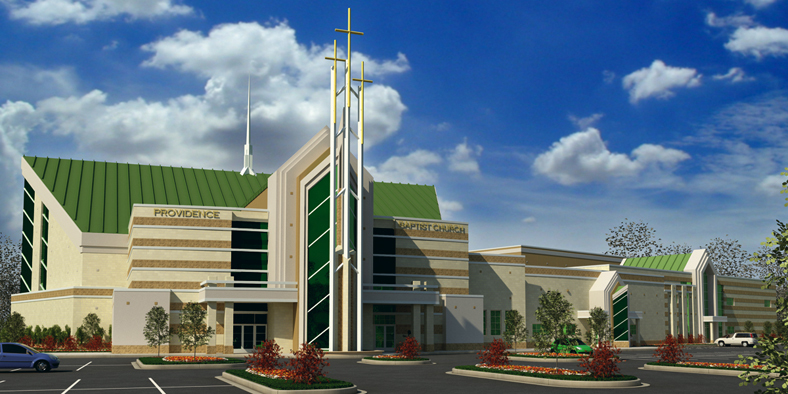 Please enjoy the renderings of the external facade of our worship center as well as the sanctuary.